We first learned about the Great Shasta Rail Trail several months ago, and have since been following the progress with great interest. 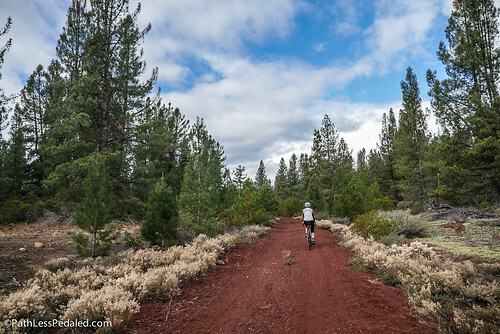 The 80-mile corridor cuts through the forest south of Mt Shasta in Northern California, crossing several trestle bridges and connecting the communities of McCloud and Burney – which means it will be an incredible bike tourism route when complete. Currently, there are 37 miles open and rideable, and we had the opportunity to check it out on our way back to Portland from LA. During our visit, we also had the opportunity to connect with some of the advocates behind the Great Shasta Rail Trail. We’ll cut the footage into a short video in the near future, but we wanted to share two big takeaways from the interviews – because we feel it’s information that could be helpful for other trail and bike tourism advocates. We’ve heard this from other successful trails and bike tourism destinations (most famously, from our interviews about the Otago Central Rail Trail in New Zealand) – but it bears repeating. 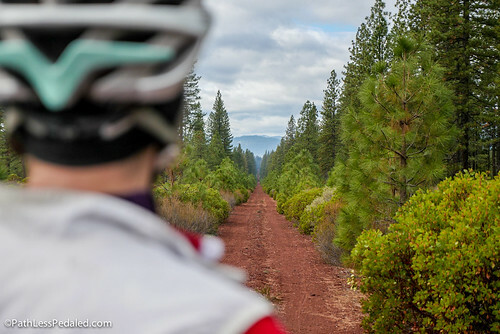 The Great Shasta Rail Trail morphed from vague idea to 37 miles open in just six years – which feels like lightening speed compared to other large destination trails. What moved it forward so quickly was the coalition of people working together. April Gray is the woman at the helm, but she quickly recognized the importance of building a team to work on the trail with her. 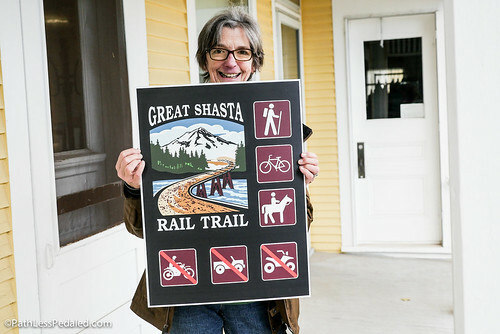 Before there was a Great Shasta Rail Trail Association (who now manages the trail construction and maintenance), there was April and representatives from several other organizations (from land trusts to trail builders), who all saw the vision. Together, they reached out to their contacts, leaned on each others’ strengths, and put a plan in motion. Equally as important, this diverse group met every month. Not only did regular meetings keep them all on track, it also kept them in contact with community members and land owners. For bike tourism to be successful in a small town, it’s important that nobody be alienated during the process – which happens best when there’s constant, consistent communication. Often, we encounter trails (or other named routes) which are built without much marketing forethought. Names are long or confusing or otherwise uninspiring, and the routes aren’t branded in a way that brings in visitors. We understand that naming is complicated, and there are serious budget considerations in creating quality marketing – but potential visitors make snap decisions based on how they perceive an experience. What helped the Great Shasta Rail Trail stand out to us, in the middle of all of the noise of the internet, is its incredible logo and iconic name. In talking to April, it was great to hear that they recognized the importance of good branding at the beginning. For everyone involved, the primary goal of the Great Shasta Rail Trail is to bring economic development via tourism to these communities – and they understood that potential visitors needed to find out about the trail in order to plan a visit. Hiring a professional graphic designer to create their branding imagery was, in our opinion, money very-well-spent. But it turns out that selecting the name wasn’t so cut and dry. In fact, “Great Shasta Rail Trail” didn’t come along as a name until the committee kept squabbling about which town name should go first. It turns out that the original name was the McCloud-Burney Rail Trail, which the residents of Burney wanted reversed to be the Burney-McCloud Rail Trail. When nobody could agree to be second, someone suggested just leaving the town names out, and that’s when the hunt began for a new name. Our feeling is that, whatever it took, the new (and current) name is much better. Naming is tricky, because we often want to recognize an important person or reference a locally-known icon. But it’s important to think about an outsider coming in – who doesn’t know one regionally-important person from another – and who will likely choose a route based on the experience that it promises. The name “Great Shasta Rail Trail” promises incredible scenery, views of Mt Shasta, an epic trail experience – which will help it stand out above other potential destinations with less-exciting names. Thanks! I’m really looking forward to the videos. I now want to check that trail out. I’ve been to Burney a few times, strangely enough. Is this a part of the McCloud Railway line? Does that line still exist? Or is this an abandoned portion of that railroad – or some other railroad? We all appreciate the article and watch out…we are working on bringing the Great Shasta Rail Trail all the way down to Mount Shasta! An additional 13 miles of Mt. Shasta views. And European style shuttling of bags so a person can bike or hike unencumbered if you want to!!! another great idea for the Mt. Shasta/ Siskiyou county area!